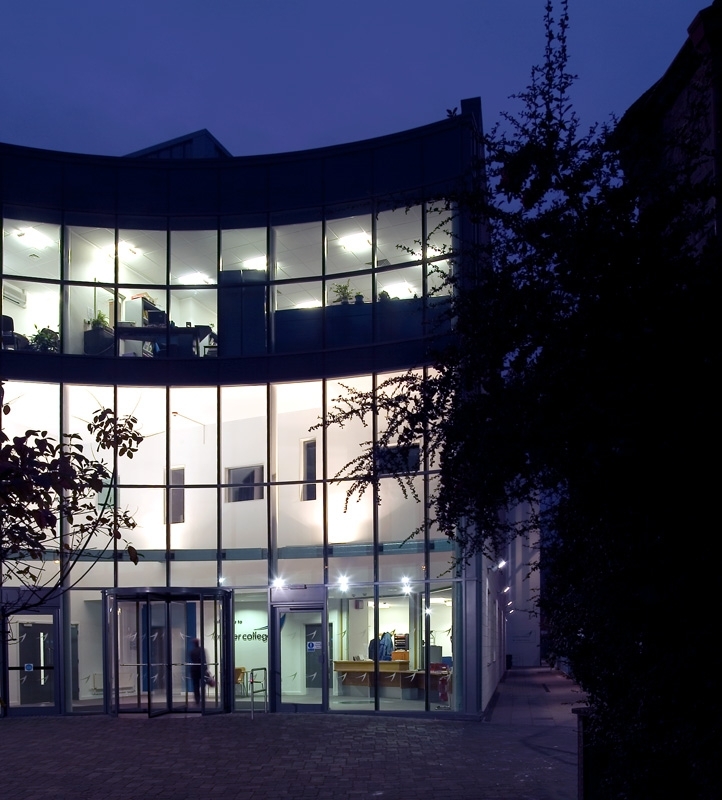 The Sixth Form Centre was a statement building for Exeter College when completed in 2007 and it has stood the test of time. 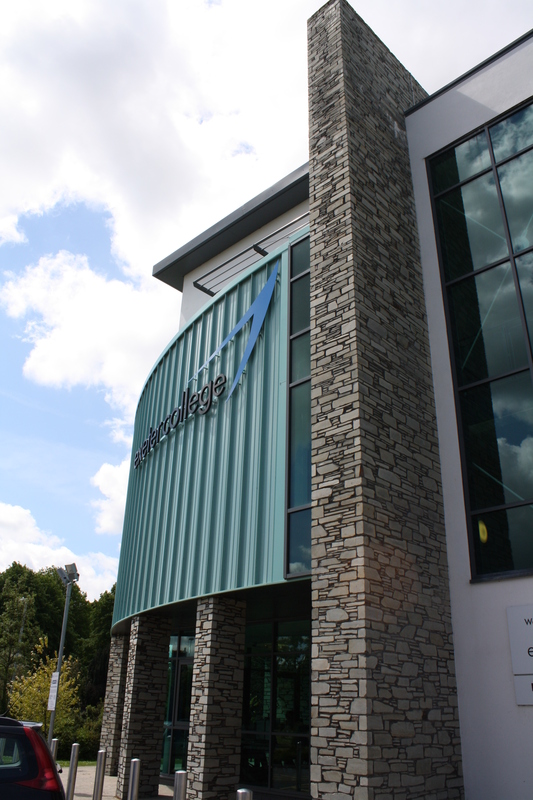 It provides the city’s Ofsted Outstanding further education provider with a striking and welcoming public face and gives a focal point to the main Hele Road Campus. 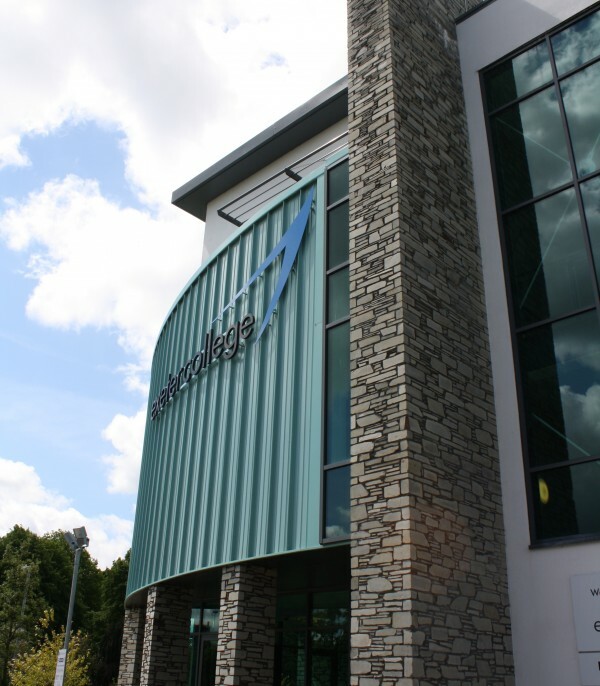 Prominent external features, a triple height curved glass entrance and striking stonework create an element of drama, while the main accommodation behind provides students and staff with an extremely practical learning space. Based around a strategy of internal flexibility, the inclusion of flexible partitions enables class sizes to vary from subject to subject and year to year. Facilities include classrooms, staff room and a canteen. We are very pleased with our new 6th Form Centre. 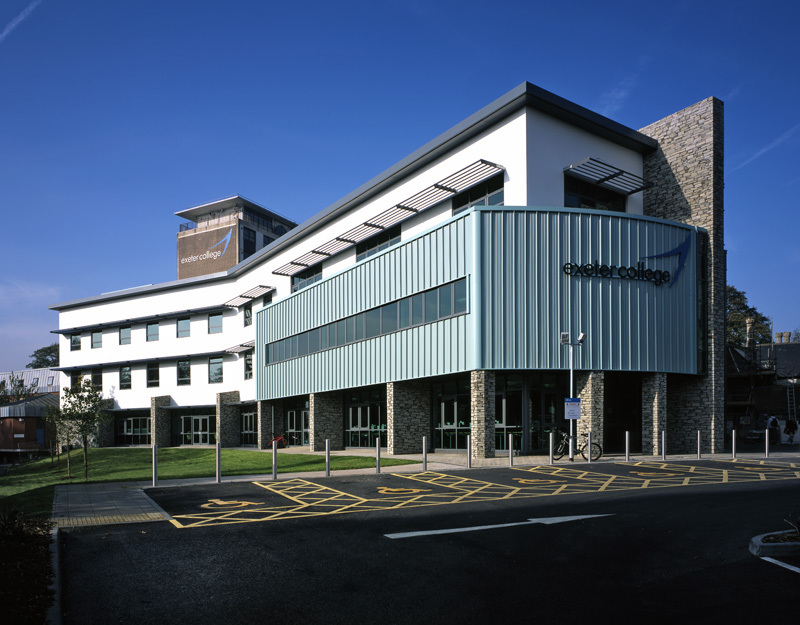 LHC have managed to design a student focused building which responds to the needs of a modern learning environment. 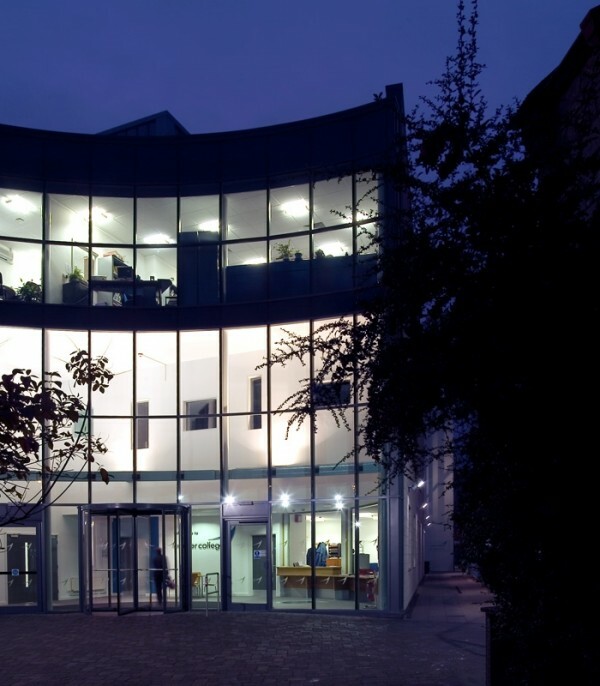 Other LHC projects for Exeter College include the Centre for the Creative Industries, Falcon House in Sowton and the Centre for Service Industries on the Hele Road campus.